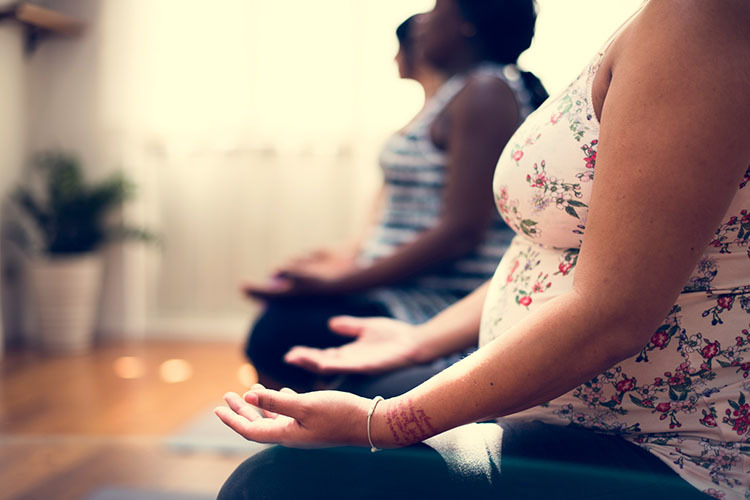 During pregnancy there are so many changes going on in our bodies and the benefits of participating in antenatal yoga are well documented, both physically and mentally. The benefits include: improved posture, flexibility and strength as well as controlled muscle relaxation releasing tension in the body and improved sleeping patterns. Yoga also allows us some one-to-one time with our babies, allowing us to connect emotionally and mentally through relaxation and breath awareness exercises. Is Antenatal Yoga for me? Midwives and doctors happily recommend yoga as a gentle form of exercise during pregnancy, although it is always worth checking with your health professional before starting. The classes are carefully designed to provide you with an environment in which you can feel secure, comfortable and calm, and a space where you can connect with your body and your baby. 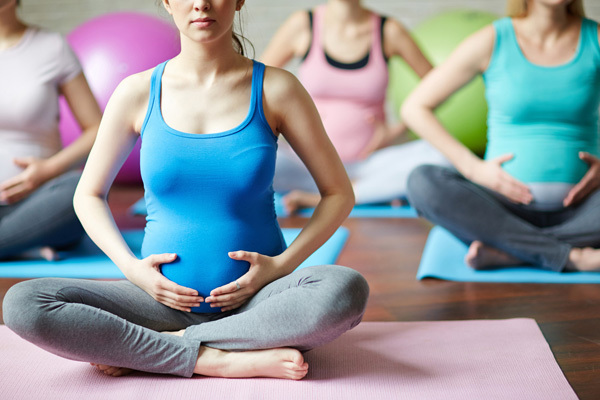 But as well as the mental aspect, our classes will also make you feel that you can go home having exercised, maintaining your strength and flexibility, while exploring various breathing and movement exercises that become useful during labour, to keep you active and moving. The exercises will be adapted to your stage of pregnancy, allowing you to exercise safely throughout your pregnancy. We can also adapt exercises for pre-existing complaints/conditions. It is advisable to start the classes as soon as you can – 1st trimester into beginning of 2nd trimester. The classes are well balanced 75 min class in which you will have time to settle in and meet other mums. The class will then start with breath awareness and Pranayama (breathing exercises), followed by Asanas (both standing and seated poses) and we will finish with a well deserved relaxation that can hopefully send you home feeling relaxed and replenished, ready for a good night’s sleep! A basic level of fitness is helpful but not essential. The class follows an 8-week programme. Please provide your own mat and we request you bring two cushions from home to assist with supine work (from 12 weeks+ of your pregnancy). Dress as you would for a fitness class, we do the class in bare feet or socks. Bring a bottle of water to keep hydrated! Please note on your first class, your instructor will as you a few general questions about your well-being and pregnancy to date. Prior to entering the class you will be asked to fill in a medical screening form (this is standard procedure for all participants). These classes run in 8 week enrolments. Flow yoga is a faster-paced form of Hatha yoga practice, often known as Vinyasa Flow. It gets its name from the smooth way that the poses are run together in a flowing sequence. It is a form of yoga that focuses on fluid movement in unison with the breath, and because of this it offers a range of both physical and mental benefits. Physically, you’ll improve your range of motion and feel re-energised .Mentally, the synchronisation of movement and breath helps to relax, calm and re-focus the mind. Is Flow Yoga for me? 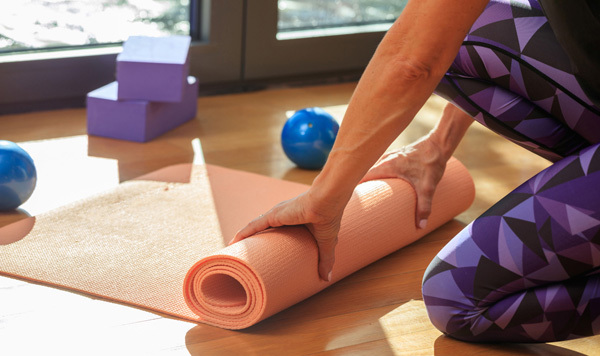 If you are interested in improving your strength, flexibility and balance at the same time as getting a full body workout then a regular Flow practice is for you! The classes are carefully designed to provide you with a balanced and progressive practice that’s accessible for all. They offer a space where you can connect with, challenge and transform your body. Each class runs for 60 minutes. Classes start with several rounds of Surya Namaskara (short flow sequences to get you warmed up) and then progress into a balanced sequence of standing and then seated postures (asanas). We will finish with some breath work (pranayama) and well-deserved relaxation that will send you home feeling re-focused and energised, ready for the day ahead! A basic level of mobility and fitness is advisable. Please bring your own mat and dress as you would for a fitness class, we do the class in bare feet. Bring a bottle of water to keep hydrated! Basic props (foam blocks, straps, blankets), will be provided and may be used in class to help you get deeper into the asanas and provide support. Please note on your first class, your instructor will ask you a few general questions about your well-being. Prior to entering the class you will be asked to fill in a medical screening form (this is standard procedure for all participants). Hatha yoga can help you balance your mind and body through mindful movement. Hatha yoga practice can be therapeutic and classes can make you feel, look, and move better. Our Hatha classes are designed so they are relatively gentle, slow-paced and great for beginners or students who prefer a more relaxed style where they hold poses longer. Hatha practice of asanas (yoga postures) and pranayama (breathing exercises) help bring peace and balance to the mind and body. Is Hatha Yoga for me? If you are interested in improving your strength, flexibility and balance then a regular Hatha practice can help. Hatha is inclusive, it’s suitable for everyone. The classes are carefully designed to provide you with an environment where you can feel secure, comfortable and calm, and work at a level that feels right for you. They offer a space where you can connect with, challenge and transform your body. The classes are well balanced 60 min class. The class will start with breath awareness and Pranayama (breathing exercises), followed by Surya Namaskara (short gentle flow to get you warmed up) and Asanas (both standing and seated poses). We will finish with some well-deserved relaxation that can hopefully send you home feeling relaxed and replenished, ready for a good night’s sleep! A basic level of fitness is helpful but not essential. The class follows an 8-week programme and is also progressive. Please provide your own mat, dress as you would for a fitness class, we do the class in bare feet. Bring a bottle of water to keep hydrated! Basic props (foam blocks, straps, blankets), will be provided and may be used in class to offer support and help you get deeper into the asanas. Please note on your first class, your instructor will ask you a few general questions about your well-being. Prior to entering the class you will be asked to fill in a medical screening form (this is standard procedure for all participants).